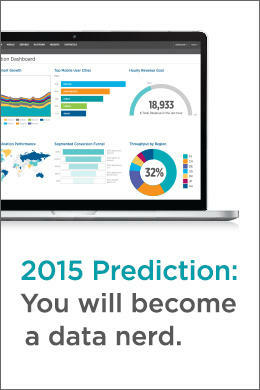 2015 promises to be a super nerdy year, data nerdy that is. We’re on a quest to understand how business leaders, managers and knowledge workers are thinking about the role of data in their company’s strategy in 2015. We are asking you to complete this short 5 minute survey. You could win one (1) of 50 - $50 Amazon gift cards. Plus, we also promise to send you our findings and results.